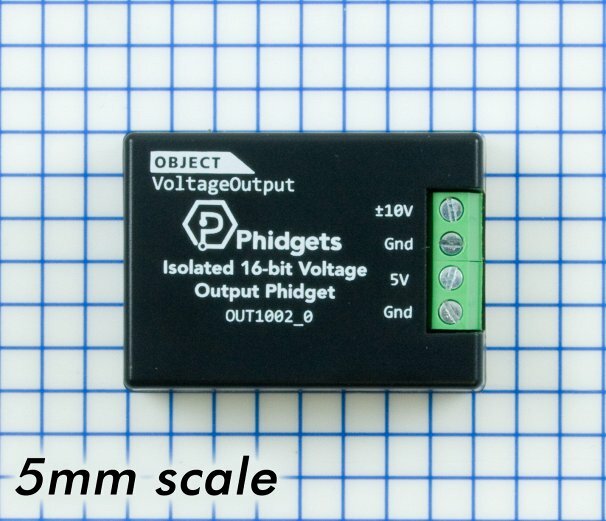 Generating extremely precise voltages is easy with this Phidgets voltage output module. 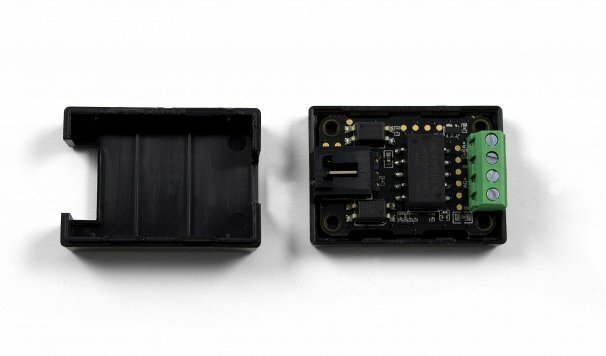 It is designed to interface with devices that are controlled by an analog voltage signal. 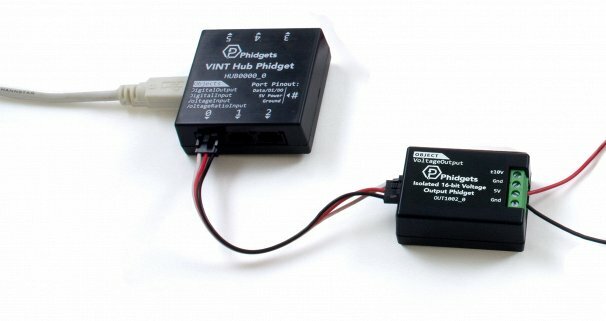 Simply plug it in to a VINT port, and you'll be able to set a voltage in your program between -10 and +10 volts with 16 bit resolution (300£gV) at a current of up to 5mA (See the Comaptible Products tab for a list of VINT Hubs). If the attached device draws more than 5mA and the voltage begins to drop below the value specified, a warning event will be launched so your program can take an appropriate action. This Phidget is factory calibrated to ensure output accuracy. Need higher resolution? 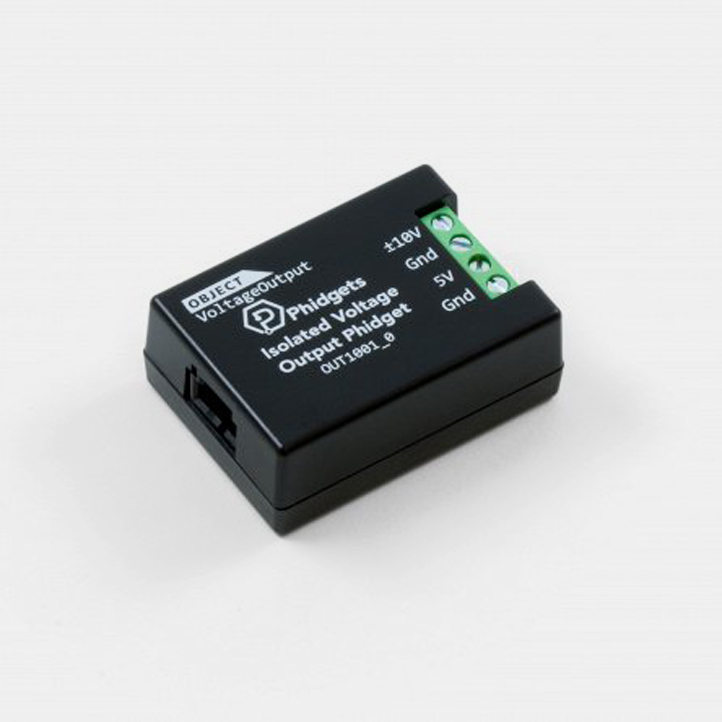 The output on this Phidget also has a 0 to 5V terminal that can be used instead of the ±10 terminal, yielding a resolution of 76µV. Both terminals are controlled as the same object in software and cannot be used at the same time. *Current sourcing and sinking capability varies based on selected output voltage. Please visit the technical section of the User Guide for details.